I am sharing with you here this interview of Prof. Jay Cullen, though I do not agree with his conclusions. Since day one he has always minimized the possible effects of the radionuclides dumped into the Pacific ocean on the the marine food chain. Actually there has been much too few scientific studies done on the fission produced radionuclides effects on living organisms, especially marine organisms. Such study failing to be financed by the Establishment. We certainly should ask ourselves why. And the very few funded by the Establishment, done by Buesseler and Cullen, are not very credible. Seven years ago, a 9.0 magnitude earthquake followed by a massive tsunami led to three nuclear reactor meltdowns and a series of explosions at the Fukushima Daiichi plant in Japan. More than 90 per cent of the resulting radiation went into the Pacific Ocean. Years later, that radiation slowly made its way to Canadian shores. Steve Paikin welcomes the chemical oceanographer tracking the disaster’s ocean contamination to learn the effects of the radiation. Bags of debris contaminated with radiation are seen stored in a field in the town of Okuma, near the Fukushima No. 1 nuclear plant, in this August 2015 photo. The government plans to conduct a demonstration project sometime this spring to test the safety of burying waste generated by decontamination work following the 2011 Fukushima nuclear disaster, the Environment Ministry said Wednesday. The government plans to determine its disposal policy for contaminated soil in the fall or later depending on the outcome of the experiment, according to the ministry. A total of 56 municipalities in seven prefectures — Iwate, Miyagi, Ibaraki, Tochigi, Gunma, Saitama and Chiba — have completed cleanup work with financial support from the central government. But some 330,000 cubic meters of soil waste has been temporarily kept at around 28,000 locations — including public spaces such as schools and parks — in 53 municipalities, prompting local residents to call for disposal of the waste at the earliest opportunity. The project will be carried out on the premises of the Tokai Research and Development Center’s Nuclear Science Research Institute in Tokai and at a public space in Nasu. Some 2,500 cubic meters of soil waste temporarily kept at two locations in Tokai and about 350 cubic meters of soil waste kept at the public space in Nasu will be used in the project. 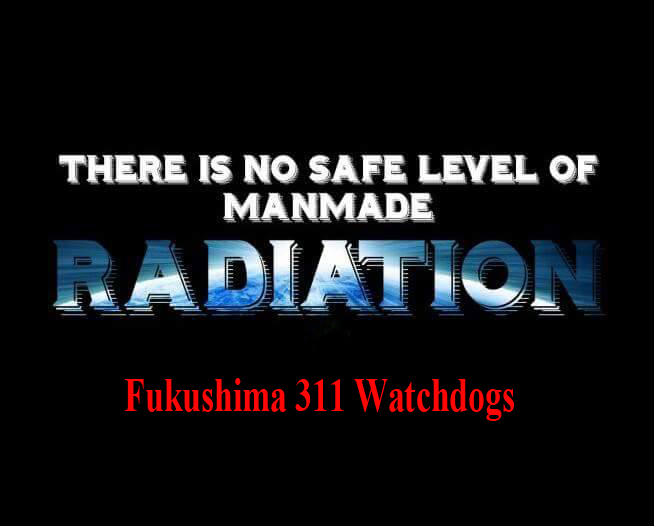 After the waste is buried, workers’ exposure levels to radiation will also be measured. “Households in storage locations continue shouldering the burden. I hope (the project) will prove the safety of burying it (soil waste) and lead to the disposal (of contaminated soil),” a Nasu town official said. “It took time to conduct (the project) but it’s good,” said an official in Tokai, adding that more and more local residents have been asking for the removal of soil waste from a park. After being asked by municipalities to demonstrate a way to dispose of soil waste, the ministry had been searching for proper locations to carry out the demonstration project. Japan’s Environment Ministry will carry out tests at 2 sites where soil generated in decontamination work following the 2011 Fukushima nuclear accident is buried. Outside Fukushima Prefecture, where the crippled Fukushima Daiichi nuclear plant is located, some 330,000 cubic meters of soil are stored in 53 cities, towns and villages in 7 prefectures in eastern Japan. The soil is currently kept at some 28,000 locations, including schoolyards and parks. Local residents have called on the government to safely dispose of the soil as quickly as possible. The environment ministry will start testing soil disposal methods in the spring. The sites chosen are a nuclear research institute in Ibaraki Prefecture and a sports ground in Tochigi Prefecture. Ministry officials say the stored soil will be buried in the ground and then covered over again with clean new earth. They will then measure radiation levels at areas surrounding the sites and the amount of radiation that workers were exposed to. The ministry will start negotiating with local governments regarding a full-scale disposal after verifying the test method’s safety and drawing up an appropriate disposal plan. Tokyo, Jan. 31 (Jiji Press)–The Environment Ministry said Wednesday that landfill work for soil tainted with radioactive materials released from the disaster-stricken Fukushima No. 1 nuclear power station will start outside Fukushima Prefecture, northeastern Japan. The work will be carried out in the village of Tokai, Ibaraki Prefecture, and the town of Nasu, Tochigi Prefecture, on a trial basis from this spring. Both prefectures are south of and adjacent to Fukushima. In Fukushima, work has already started to store such soil at interim facilities for up to 30 years before its final disposal. The work in Tokai and Nasu will involve about 2,500 and 350 cubic meters, respectively, of soil removed from ground during decontamination work following the accident at the Tokyo Electric Power Company Holdings Inc. <9501> plant, which was heavily damaged in the March 2011 earthquake and tsunami. The soil will be buried underground, with the land surface to be covered with a layer of clean soil more than 30 centimeters thick. Cleaning up the plant’s three reactors that had at least partial meltdowns after the earthquake and tsunami is a monumental task expected to take three to four decades. Taking out the stored fuel rods is only a preliminary step and just removing the ones in Unit 3 is expected to take a year. Still ahead is the uncharted challenge of removing an estimated 800 tons of melted fuel and debris inside the cracked containment chambers — six times that of the 1979 Three Mile Island accident. The area in and outside of Unit 3 is part construction site and part disaster zone still requiring protection from radiation. A makeshift elevator, then a wind-swept outdoor staircase, takes visitors to the operating floor, more than 30 meters (100 feet) above ground. Daylight streams in through the unfinished section of the new cover, a tunnel-like structure sealed at both ends to contain radiation. An overhead crane that moves on rails stands at the side of the storage pool, the maker’s name, “Toshiba,” emblazoned in large red letters. The explosion left major chunks of debris that have been removed from the storage pool, a painstaking operation done using remote-controlled machinery and with utmost care to avoid damaging the fuel rods. Smaller rubble lines the pool’s edge. The water’s surface is obscured by a blue netting to prevent more debris from accidentally tumbling in. The severe damage to Unit 3 has, in the end, made it easier to clean up than the other two reactors. Under the latest government roadmap approved last September, removal of the fuel rods from units 1 and 2 was delayed by three years until 2023, a second postponement from the original 2015, because further decontamination and additional safety measures are needed. Unit 1 fell behind because of a delay in removing debris and repairing key components on the operating floor. The Unit 2 building remained intact, keeping high radiation and humidity inside, which makes it more difficult for workers to approach and decontaminate. Radioactivity on the Unit 3 operating floor has fallen to a level that allows workers in hazmat suits and filter-masks to stay up to two hours at a time, though most work still needs to be done remotely. The segments of the new cover were pre-assembled and are being installed one by one by remote-controlled cranes. With two pieces left, the plant operator says the cover will be completed in February. Removing the fuel rods in Unit 3 will be done with a fuel-handling crane. It will move the rods out of their storage racks and pack them in a protective canister underwater. A second Toshiba crane, a 10-meter (33-foot) -high yellow structure across the operating floor, will lift the canister out of the pool and load it onto a vehicle for transport to another storage pool at the plant. Crane operators and others assigned to the project, which requires caution and skill, have been rehearsing the procedures. The 1,573 sets of fuel rods stored in spent fuel pools at the three reactors are considered among the highest risks in the event of another major earthquake. Loss of water from sloshing, structural damage or a power outage could cause meltdowns and massive radiation leaks because the pools are uncovered. Still, after the intact fuel rods are gone comes by far the most difficult part of decommissioning the plant: removing the melted fuel and debris from inside the reactors. Obtaining exact locations and other details of the melted fuel are crucial to determining the retrieval methods and developing the right kind of technology and robots. With most melted fuel believed to have fallen to the bottom, experts are proposing that it be accessed from the side of the containment vessel, not from the top as originally had been planned, based on the cleanup after an accident at the Three Mile Island nuclear plant in the United States. Computer simulations and limited internal probes have shown that the melted fuel presumably poured out of the core, falling to the bottom of the primary containment vessels. Robotic probes at the Unit 3 and 2 reactors have captured images of large amounts of melted fuel, but attempts so far at Unit 1 have been unsuccessful. Despite scarce data from inside the reactors, the roadmap says the methods for melted fuel removal are to be finalized in 2019, with actual retrieval at one of the three reactors in 2021. Hirose says it is premature to say whether Unit 3 will be the first. A Buddhist priest prays on a beach in Minamisoma, Fukushima Prefecture, in March 2017. The area was hit hard by the 2011 earthquake, tsunami and nuclear disaster. There are fewer and fewer headlines these days about the catastrophe resulting from the triple core meltdown in March 2011 at Tepco’s Fukushima No. 1 nuclear power plant. But participants at a recent symposium stressed that the disaster’s lingering effects continue to weigh heavily on people and municipalities in Fukushima Prefecture. Tokyo Electric Power Co. (TEPCO), operator of the disaster-stricken Fukushima No. 1 Nuclear Power Plant, refused in 2002 to calculate the potential effects of tsunami in case of an earthquake off Fukushima Prefecture when a now-defunct nuclear watchdog told the utility to conduct an evaluation, the Mainichi Shimbun has learned. A former safety screening division official of the Ministry of Economy, Trade and Industry’s Nuclear and Industrial Safety Agency (NISA) told the Mainichi Shimbun on Jan. 29 that TEPCO did not accept the agency’s request even though the latter tried to convince the utility after the government released a long-term assessment report that a major earthquake could hit off the Pacific coast including areas off Fukushima Prefecture, possibly triggering massive tsunami. This is the first time that exchanges between the then nuclear agency and TEPCO following the release of the government report have come to light. In July 2002, the government’s Headquarters for Earthquake Research Promotion released the long-term assessment report saying that an earthquake similar to the 1896 Sanriku Earthquake could hit off the Pacific from the northern Sanriku to Boso areas. The official held a hearing on TEPCO the following month as to whether the report would affect safety measures at the Fukushima No. 1 plant. According to the official as well as the statement submitted by the government to the trial of a lawsuit filed by Fukushima nuclear evacuees against TEPCO and the state, NISA told the utility to calculate a possible earthquake-tsunami disaster off the coast from Fukushima to Ibaraki prefectures, pointing out that Tohoku Electric Power Co. had been considering conducting an assessment on areas quite far south. In response, TEPCO representatives showed reluctance, saying that the calculation would “take time and cost money” and that there was no reliable scientific basis in the assessment report. The TEPCO officials reportedly resisted for about 40 minutes on the matter. In the end, the agency accepted the utility’s decision to shelve the earthquake-tsunami estimate. In 2006, NISA again requested TEPCO to prepare its nuclear plants for massive tsunami exceeding envisioned levels, but the company did not comply, before finally conducting a calculation in 2008. The utility concluded that waves up to a height of 15.7 meters could hit the Fukushima plant, but did not take measures according to the estimate. The attorney representing Fukushima nuclear evacuees in the redress suit commented that the finding exposes the maliciousness of TEPCO, while also pointing to the responsibility of the central government. A TEPCO public relations official, meanwhile, said that the company would not comment on the matter because the trial was ongoing.